ACC has reduced the number of participants nations for ACC Emerging Cup 2018. Previously, eight-nation used to compete in this tournament but ACC has confirmed that six teams (five test playing nations and 1 associated nation) will take participation in this tournament at Pakistan on April 2018. Associates nations fans are clearly unhappy with this decision. We have seen their frustration and outrage throughout the day in different social media as the likes of Facebook and Tweeter. The wound of not being able to take part in coming to ICC World Cup which they somehow had managed to heal got fresh. They are blaming ACC and ICC for killing the fate of Associate Nations. What might be the reason behind this deduction? Why isn’t ACC providing sufficient opportunity to Associate nations? 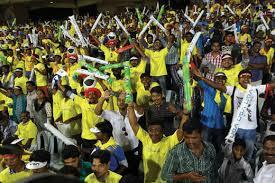 Somehow we can consider the decision of ICC for deducting the World Cup participants nation as its the biggest festival of cricket. I’m not on the side of ICC decision as every cricket loving nations should get an opportunity to expose themselves. I just mean that it has some discerns points. All this leaves us wanting for the perfect World Cup format where each game matters beyond the individual loyalties of the respective cricket fans and produces a competition which can be the epitome of the one-day version of the game. Now think of Australia making a record 417 against Afghanistan or Chris Gayle making 215 against a below-par Zimbabwe. Or alternatively, contemplate the relevance of a clash between Afghanistan and Scotland. For any person who considers the World Cup as a significant marker of their life, this is a huge letdown and ends up creating memories which are peppered with mediocrity and meaninglessness.The ICC has quite rightly sought to address this issue and I think that the new format proposed in 2019 might also be the step in the right direction. The fundamental premise of this approach is that it should certainly not be a given that every cricket playing country should be playing the World Cup. Even in football, the teams with great footballing traditions like England, France, and Spain have not qualified for the football World Cup in the past if they have not earned it. 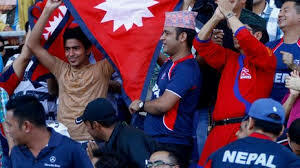 Parallelly, the expansion of the World T20 Cup to 16 teams is a welcome move because it gives more opportunities to the associate nations to get a flavor of competitive world cricket and encourages greater participation and entertainment. This also reflects the spirit and ethos of the shortest format of the game. But what might be the reason behind the deduction of participants teams from emerging cup? the tournament name itself reflect the intents of competition but does the move show that intent? We can simply answer this as no. If this tournament’s main theme is to give an opportunity to emerging teams than why only one Associate nation? Why are they deducting the participant nations? These are some question which no one can answer except ACC or ICC. 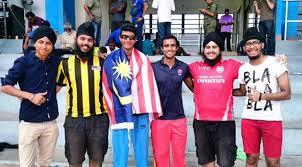 Asia has numerous emerging teams likes of HongKong, UAE, Nepal, and Malaysia but three out of this four-nation will lose the opportunity to improve their games through competing with better teams. We hope ICC followed by ACC understands the emotions of these associates nation and reimburse them a sufficient opportunity in near future.